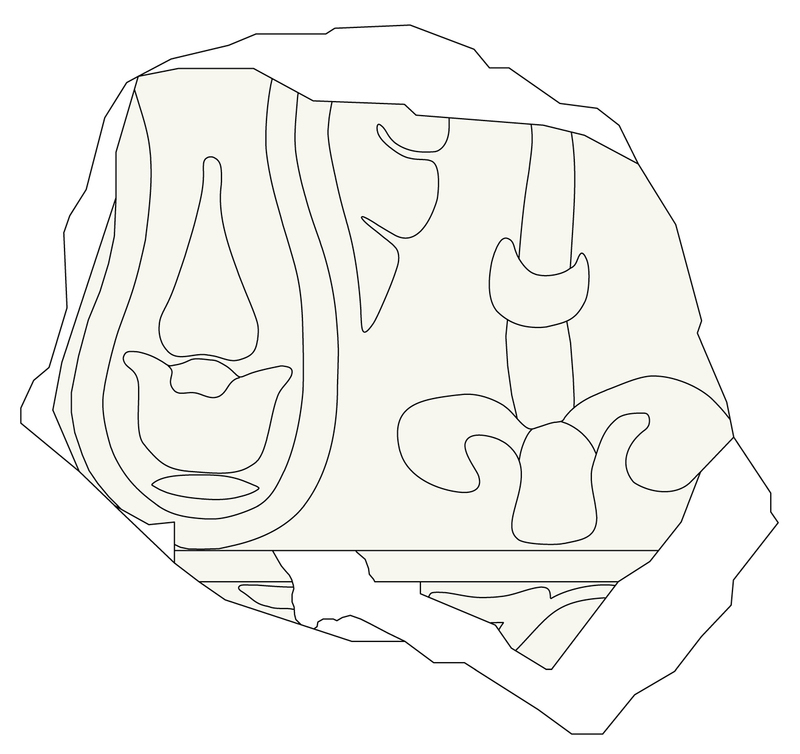 Dado carved in bas-relief (type 26). This type is represented by one fragmentary specimen. The existing decoration is composed of a sequence of trilobated arches enclosing and alternating with vegetal motifs. The height of the panel is 17 cm, its width 14 cm (both incomplete); its thickness is 4 cm. 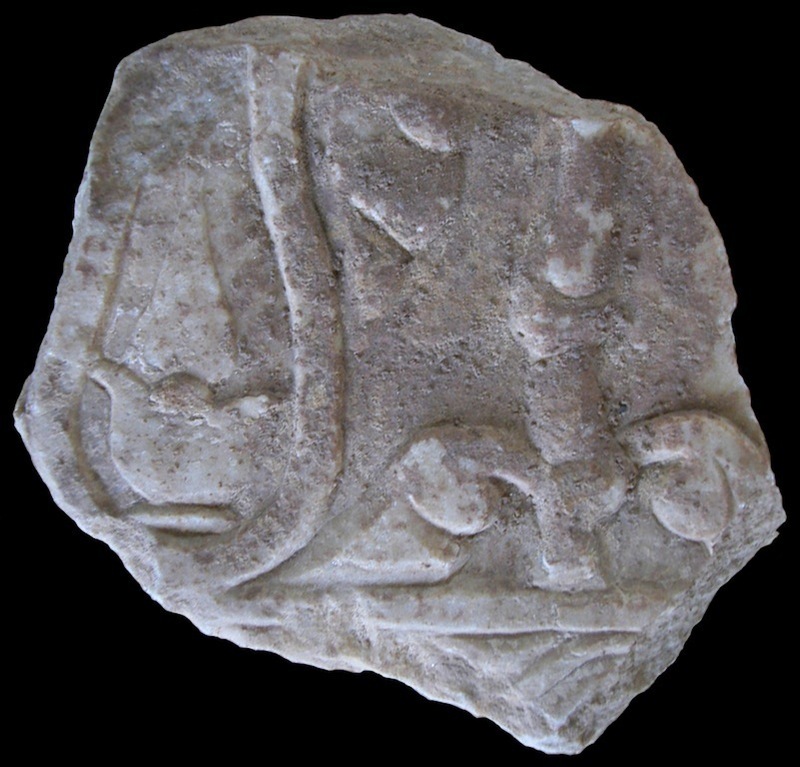 The artifact was excavated in the Ghaznavid palace (the excavation occurred in the late 1950s-1960s). Type 26 might have been used as an architectural dado or as a tomb paneling. 12th - early 13th cent.